Gray had his 2 month dr. visit last week along with his sister's 4 year appointment and they both had shots. I was nervous going into it mostly due to how I thougth Nia would react. She did fine - it was Gray who had the biggest reaction. I've never heard him cry so hard! 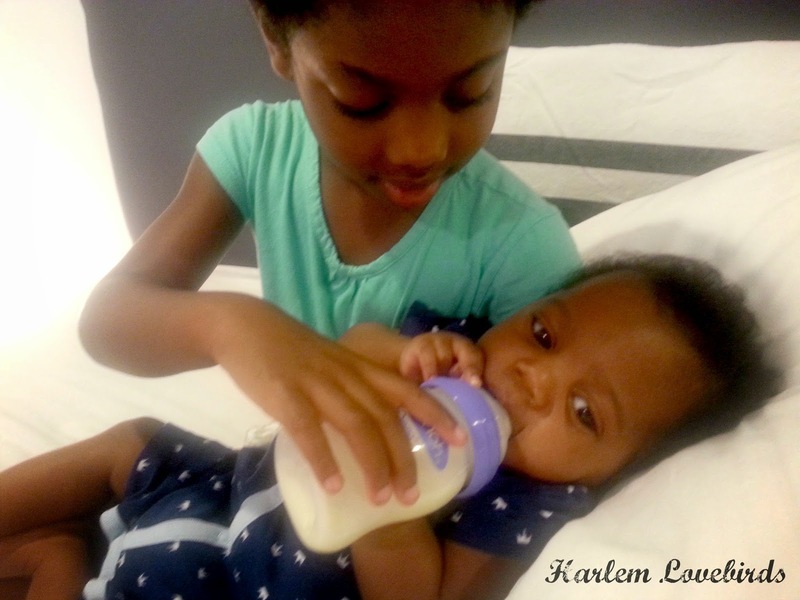 It was heartbreaking but Nia, who was the brave big sister and got her shots first, laughed at him. I asked her why and she replied, "Because he's so cute, mama!" Baby's Weight: 12lbs, 14oz - up nearly 2 lbs in a month; Nia and I have taken to calling him CHUNK! Special outings baby had during the month: First beach visit! Moment 1:04-1:30 is my fave! What was baby's routine? Grayson's circadian rhythms have seemed to kick in or else it's a trick! He has a hard time getting settled at night, but once he's down he's down and I rarely feel disrupted in my sleep on account of him. We get up between 7-8a.m. and lately he's been drowsy most of the day but wants to be held while sleeping. If I put him down he promptly pops up. Sigh . . . Nights we're all in bed around 9/10p.m., but lately I've been pulling all nighters til 3 or 4a.m. No fun! Reflect about the highlights of the month: Definitely Gray taking a bottle. This spells freedom! Did any big changes occur? The 6 week growth spurt hit us HARD. He was super fussy. I definitely don't remember anything like that with Nia at 6 weeks, but I think a lot of it is due to his extreme gasiness! What I'm looking forward to? I missed this question last time and would've said Las Vegas but alas our Labor Day Weekend trip to the Red Rock Resort has been canceled. It's bittersweet, and I'll be sharing more on that soon . . . In the immediate future I'm looking for a short family trip up to Portsmouth, NH this holiday weekend instead. P.S. Missed last month's update? 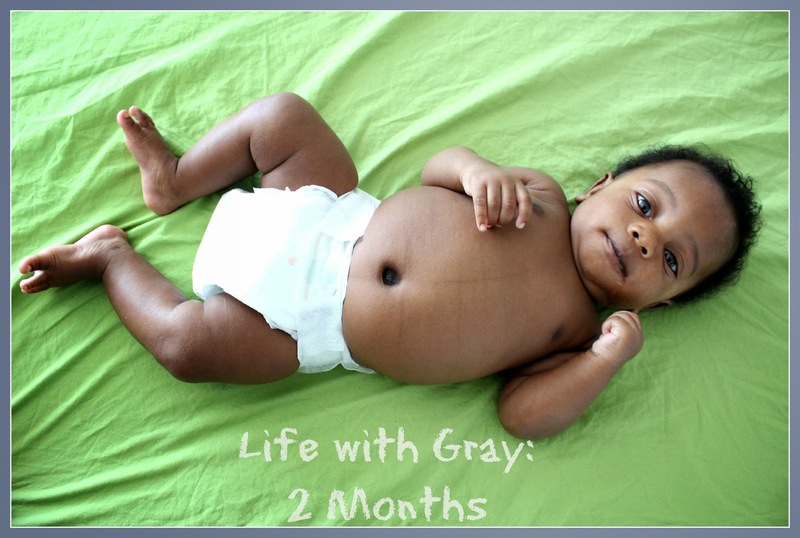 Click here to see Gray's 1st month!